Attaches with snap to anything. Great for personal belongings or tools. 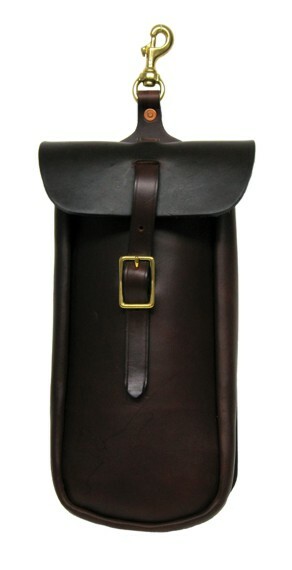 Constructed of the finest bridle leather with solid brass hardware. Approx. measurement 12" x 6" x 2". Available in Black or Havana.